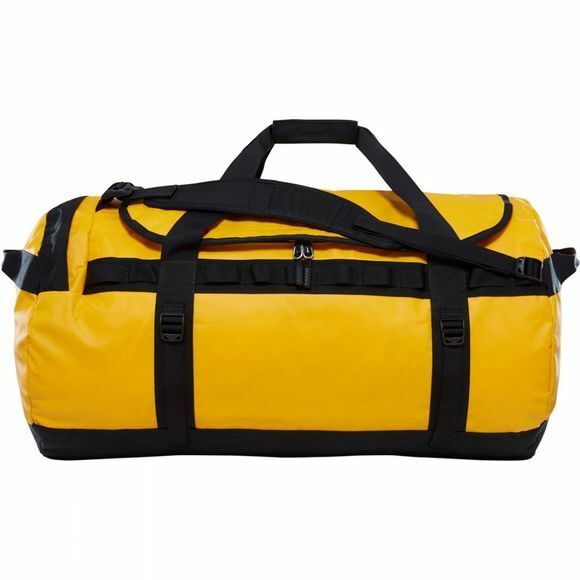 The Base Camp Duffle Bag Large from The North Face is an tough and iconic addition to your next expedition. 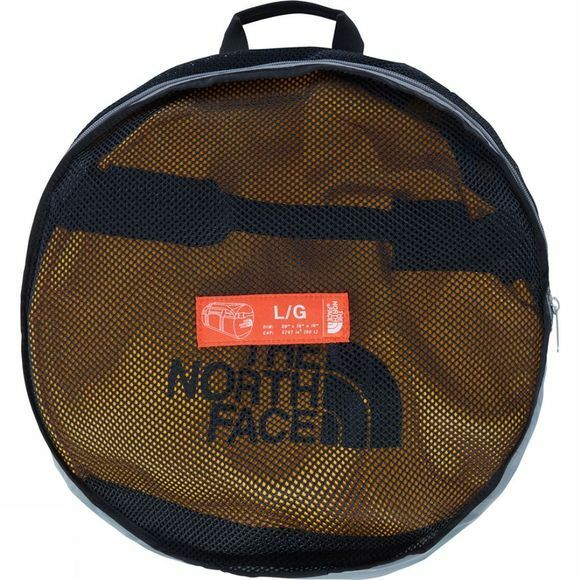 Made from a super-strong TPE and nylon blend, it will be able to take on the rigours of travelling with ease, and make sure your gear reaches the destination as safely as possible. Lots of storage options and places to keep your keys, wallet, etc safe and within easy reach should you need to reach in and grab an important item. The detachable shoulder straps and padded handles offer a lutitude of carrying options. Small end-cap zipped pocket for keys, wallet, passport, etc.